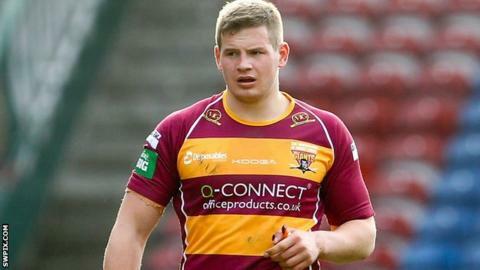 Wakefield Trinity Wildcats have signed Huddersfield Giants forward Jacob Fairbank on a one-month loan deal. The 24-year-old has not featured for the Giants this season. But the back-rower spent time on loan with both Bradford Bulls and London Broncos last season. Fairbank could make his debut for the Wildcats, who have won just twice all season and are four points above the Super League relegation zone, against Hull FC on Sunday.